Watch all the speeches and waiata tautoko on demand. 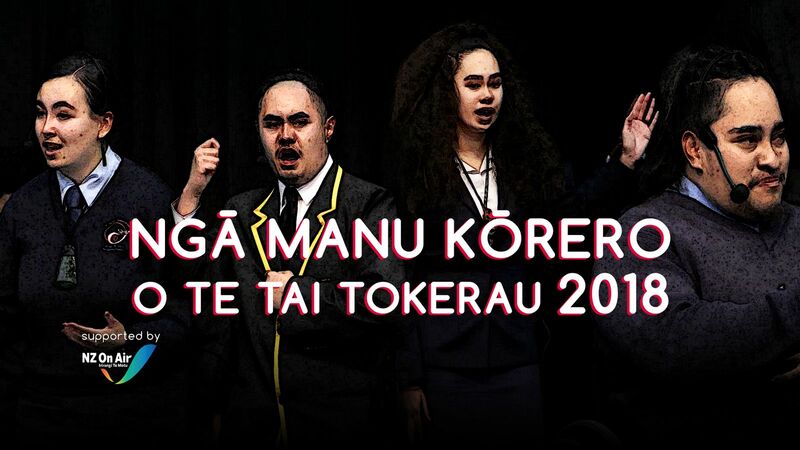 We'll be live streaming Ngā Manu Kōrero o Te Tai Tokerau 2018 from Opononi Area School from 6 - 8 June 2018. Speeches will be made avaialble on demand after the winners are announced. We will not publish wining speeches, but speakers and kaiako of the winning speeches will have private access to their speech to help prepare them for Nationals. You'll need to hand in a consent form (see below) if you want your speech to be made public. If you would like to access your student's or child's speech please fill out a consent form and email it to us. Download the consent form here and email it to consent@tehiku.nz. If you explicitly asked us not the stream a student's speech then a recording is not available. All other speeches were recorded but we cannot publish them until a consent form is received. If you've given us a consent form and do not want your video published, please email us at info@tehiku.nz.